Overwhelming bipartisan majorities oppose the plan that the Federal Communications Commission will consider this Thursday, December 14, to repeal the regulations requiring net neutrality. Respondents were given a short briefing and asked to evaluate arguments for and against the proposal before making their final recommendation. 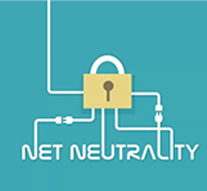 The survey content was reviewed by experts in favor and against net neutrality, to ensure that the briefing was accurate and balanced, and that the strongest arguments were presented. At the conclusion, 83% opposed repealing net neutrality, including 75% of Republicans, as well as 89% of Democrats and 86% of independents. The survey of 1,077 registered voters was conducted by the Program for Public Consultation at the University of Maryland (PPC), and released today by the nonpartisan organization, Voice of the People. “A decision to repeal net neutrality would be tacking against strong headwinds of public opinion blowing in the opposite direction,” commented Steven Kull, director of PPC. charge customers, who use the internet, an extra fee to visit specific websites. They were told that the proposal is to remove these regulations, though the ISPs would be required to disclose any variation in download speeds or blocking of any websites. They were then presented the argument in favor of the proposal, saying that the restrictions are unnecessary, that they stifle innovation, that ISPs should be allowed to provide cutting-edge download speeds for companies that want them, that due to these restrictions the United States is lagging behind other developed countries in the development of the internet, and that disclosure requirements ensure that ISPs will not overreach. Forty-eight percent said they found the argument convincing, while 51% found it unconvincing. More Republicans found it convincing (59%) than Democrats (35%). The argument against the proposal fared better. It asserted that ISPs, though they do not provide website content, would be able to charge consumers ever-higher fees for internet access, that the big companies with websites could pay for the faster download speeds while smaller competitors could be driven out of business, that ISPs who provide content could block access to competitors who also provide content, and that all this would undermine innovation. A much larger 75% found this argument convincing, including 72% of Republicans and 78% of Democrats. Finally, respondents were asked to give their final recommendation on the proposal to repeal the existing restrictions on ISPs. Overall, only 16% favored the idea, with 83% opposed. Among Republicans, 21% were in favor 75% opposed. Eleven percent of Democrats favored the idea, with 89% opposed. Independents were in between, with 14% in favor and 86% opposed. The survey was conducted online from December 6-8, 2017 with a national probability-based sample of 1,077 registered voters, provided by Nielsen Scarborough from Nielsen Scarborough’s sample of respondents, who were recruited by mail and telephone using a random sample of households. The margin of error was +/- 3.0%. Stay up to date with the latest WPO articles on public opinion from around the world, including releases of new WPO polls. To join the WPO mailing list, email your name, company name and email address to info@public-consultation.org.